The news drove around the planet : “Mussavi has been confined in the offices of the fine arts university he heads”. Thanks to the AFP Iranian bureau -composed of Iranians who are close to the regime and who write dispatches of staged scenarios right before they happen- we knew that such trick constituted some “warning coming from the power”. Bikers on desk frames, we didn’t see this since Lewis’ advertisement ! How did they do to get upstairs ? This is quite hazy and there are good reasons for that. Once the dispatch specifies that the bikers blocked Mussavi while he was leaving the building’s parking, then a confinement upstairs is mentioned. Such quantum skip is due to the fact that if things would have happened at the level of the street, so popular Mussavi would have then benefitted from the support of the people we pretend to be on his side, at last a part of the 80,000 students of Tehran University or at least his supporters, those media leaders of the Green Movement. As this so-called popularity is artificial, the valorous scriptwriters of AFP-Iran set the action upstairs where Iranians would not have been able to guess which drama was being hatched there ! We cannot congratulate such script effort because this doesn’t explain why the persons who were according to AFP-Iran forced to leave the building didn’t warn people who, according to the Green Movement’s legend, voted very massively for Mussavi. We also wonder why Mussavi himself didn’t grab his mobile phone to call his collaborators and make them disclose such illegal detention on the numerous and very popular websites and blogs of the Green Movement in order to start a breaker of national demonstrations in his favor. Tehran thought it was right to spread this news and make people talk again about the Green Movement but it was wrong. It solely revealed Mussavi’s indigence : he doesn’t have any supporter and his websites don’t count any visitor. Thus we thank the regime for such a brilliant initiative ! Thanks to this we also guess that the 3,000 demonstrators in Tehran which counts 300,000 students and the hundred ones in the provinces were surely not students, not even militiamen, but jobless people who were paid on a daily basis or else they would have been present on Tuesday morning on the campus, ready to give further realism to this failed attempt. 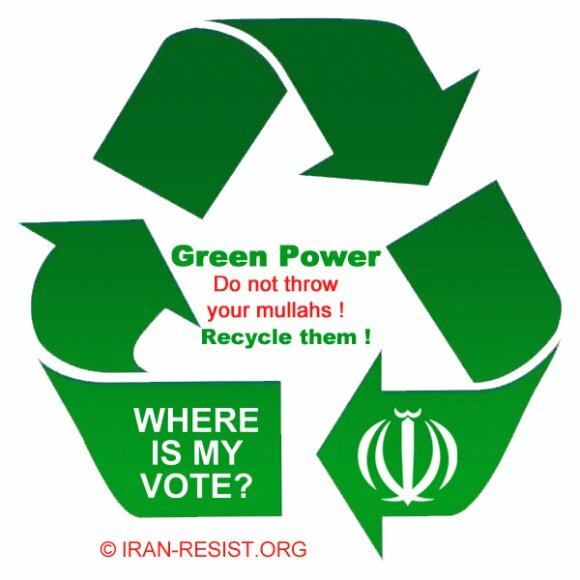 Forecast to journalists, authors of fictive tales about this Green Movement that is useful to the mullahs : it’s time to correct you. Stop defending a regime that is over and that is dropped even by its militia. Follow people’s movement. To start, stick this on your websites, your briefcases, your windscreens and your computer.